BISMARCK, N.D. - The Standing Rock Sioux is challenging new government conclusions that the $3.8 billion Dakota Access oil pipeline poses no significant environmental threats to American Indian tribes in the Dakotas. The Army Corps of Engineers in August finished more than a year of additional study ordered by a federal judge. The agency said the work substantiated its earlier determination that the chance of an oil spill is low and that minority and low-income populations aren't at greater risk. Standing Rock is leading a lawsuit against the pipeline built by Texas-based Energy Transfer Partners and wants a federal judge to reject the findings. The tribe says the Corps didn't adequately consider information that undermines the agency's conclusions. 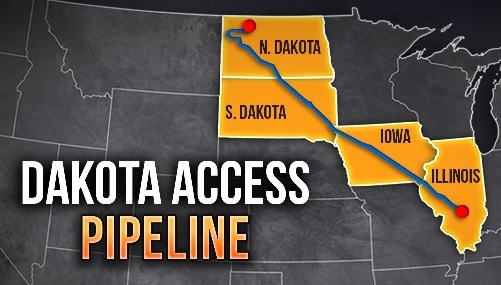 The four-state pipeline has been moving North Dakota oil to Illinois since June 2017.